In novels, the importance of location varies all over the place. Sometimes, it’s just some nondescript neighborhood. Other times, it’s a major “character” (think Middle Earth or Avatar). Also important, location constrains and/or focuses the storyline. When looking for a setting for Conflict, the first book in the Crossover Series, I was interested in a location that could provide, at least temporarily, safety for my characters. And for their horses. Other factors in choosing a setting would be setting up the other books in the series and to provide at least some food. So I searched using Google Earth. I started out up near the Great Lakes, looking for terrain that had valleys, yet was close enough to navigable waterways. Really didn’t find anything. Notice the hills. They’re really the ends of those geological folds. 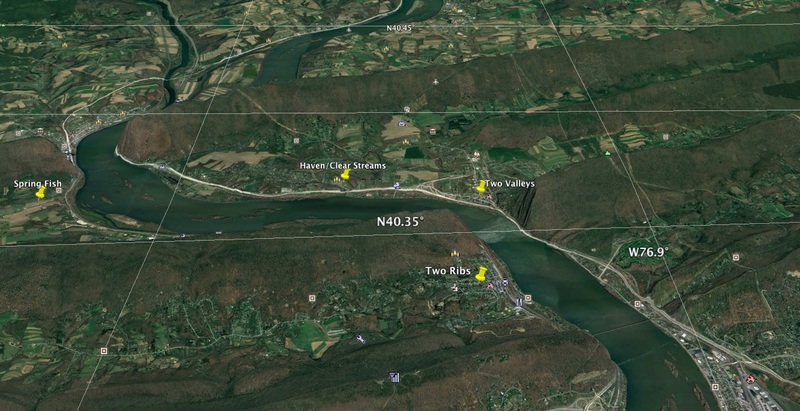 I have no idea of how the Susquehanna cut through them…but I wouldn’t have wanted to be around when it did! Very Shallow. Here’s my wife and niece (you may have to squint to see them) navigating through the broken bones of the geological folds that still remain in the river. 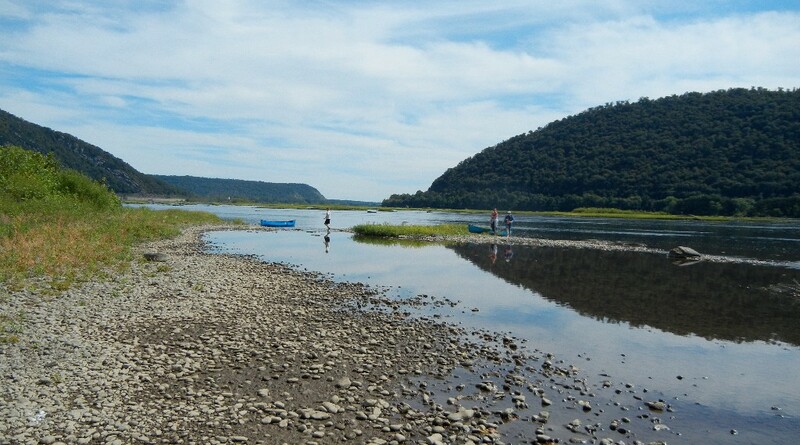 And that’s how the Susquehanna became the setting for my first book. The second book, Contact, will be out on July 16th! This entry was posted in Setting for Conflict on July 9, 2017 by Walt Socha.